I took the title of this novel from one of my favourite quotations from the poet Rumi: “Out beyond ideas of right-doing and wrong-doing there is a field. I’ll meet you there.” When you’ve reached the end of the book, I think you’ll understand just why I chose it. The novel was a long time in gestation. It began for me with Daniel’s story, his account of his time in India when he was in his early twenties. In the book this is revealed piece by piece in his journal entries, but for me it came with all the hurricane energy of a tormented soul desperate to be heard. When I began to write for Daniel it seemed to come from somewhere else: a voice that demanded to speak, to tell every last detail of the truth he needed to share. It took me over, and wouldn’t let me rest until he had said all he needed to. And after I’d finished telling his tale I was left still wondering just who this Daniel was. I needed to write the rest of the novel to find out. I hadn’t entirely shed my own role as a psychotherapist when I embarked on writing it. It’s a moot point whether it’s a role that can ever be entirely shed, as it’s so much more than the work, and an intrinsic part of my personality. It seemed inevitable that Daniel would be a psychotherapist, and not just because I know what it’s like to sit in a room with someone else and care more for their suffering than my own. 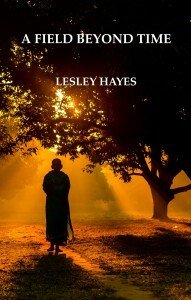 He is a wounded man, and has used his understanding of his own tragedies to find the way in to helping others to heal. It was important for me when I wrote about Daniel in the present that however much he was haunted by his past, he would be freed ultimately by facing it. What this turns out to mean for him you will need to read the book to discover. No spoilers here! When I am writing there is a curious process that occurs, much as there has been for me when working as a therapist. I fall in love with the characters, the more real they become. And the more I fall in love with them, the more of themselves they reveal to me. When my characters first walk through the door of my mind to join me on the page they have yet to give away their deeper motivations for coming. By the time I’ve got to the second or third draft we are old friends, and I’ve reached the stage of never wanting to say goodbye. Although, much as it has been with clients, the time comes when the rest of their lives will continue elsewhere, no longer between the pages of my book. Hopefully, with clients, we have both been changed by the experience of our meeting. I always hope that this will also be the case for you, as a reader. A number of elements came together that inspired me to write this particular novel, otherwise it might simply have remained as Daniel’s story: a narrative that had no context in which to place it. Events in my own life made me think deeply about the effects of childhood trauma, and the identity that evolved as a result. Some people believe that our identity is fixed from the moment of birth – before birth, in fact – and dictated partly by our genes and partly by some mysterious element that we might call ‘soul’ or even ‘karma’. Another view is that whatever the blank canvas is that we start out with, life experience, environment, parental and societal influences, all contribute to painting the unique portrait of the person we become. Perhaps there is something of both in forming our identity. We seem to develop a script about what life means for us very early on. We absorb the messages we receive from those around us and from the universe that presents us with our experience, kindly or unkindly, and we soak them up like the eager little emotional sponges that we are. What we learn intellectually is nothing compared to the life lessons we receive, good and bad, that make us decide where we stand in the greater scheme of things and whether we ourselves are good or bad. There are underlying themes in the book which touch all of us at some point in our lives. Betrayal is one of them. There are some betrayals that are obvious, but how subtly and sometimes unconsciously do we otherwise betray one another – and can those betrayals be forgiven? We first meet the main characters in this novel as sudden turmoil begins to turn their safe, known world inside out. In different ways both Daniel and Mira are trying to make sense of who they are, and heading for possible destruction. Daniel and his wife Callie are faced with choices about whether to trust, and whether to hold on to secrets that if uncovered could risk their relationship. They are all three complex, confused human beings, confronting truths about themselves. The truth is a theme that arises frequently in my stories. Its slippery, shape-shifting, often perplexing nature taunts me as I examine my own life and that of other people. Is what we believe to be the truth all there is to know? Doesn’t our perspective change as we draw back from close up and see the bigger picture? And yet discovering and claiming the truth is often what fires us into action and forces us to make judgements. Mira is a valiant and determined torch-bearer of a truth she holds as the fulcrum of her identity. I wanted to explore with her, as with Daniel, just what had shaped her into being the person she has become, and to question how possible it might be to bring about a change of heart. I was discussing the themes in ‘A Field Beyond Time’ with a friend who had just finished it. He said he had sat up till 2 a.m. reading because he couldn’t put it down until he had found out what happened at the end. What was it that had kept him gripped? “I had to know if Daniel would find the resolution he needed,” he said. “From the point in the novel when I started reading his journal entries I was hooked. His story was so compelling.” Well, obviously I’m not going to give the game away here, but it was interesting to see that it wasn’t just me who felt in some way possessed by Daniel and his plight. I hope you will be as touched by the characters in this novel as I was while writing about them. I came to love them in their flawed, imperfect human beingness. Did they all find the resolution they needed? Whether or not the novel keeps you up till the early hours, I hope you too are spurred to find the answer.